Jacobite interest. 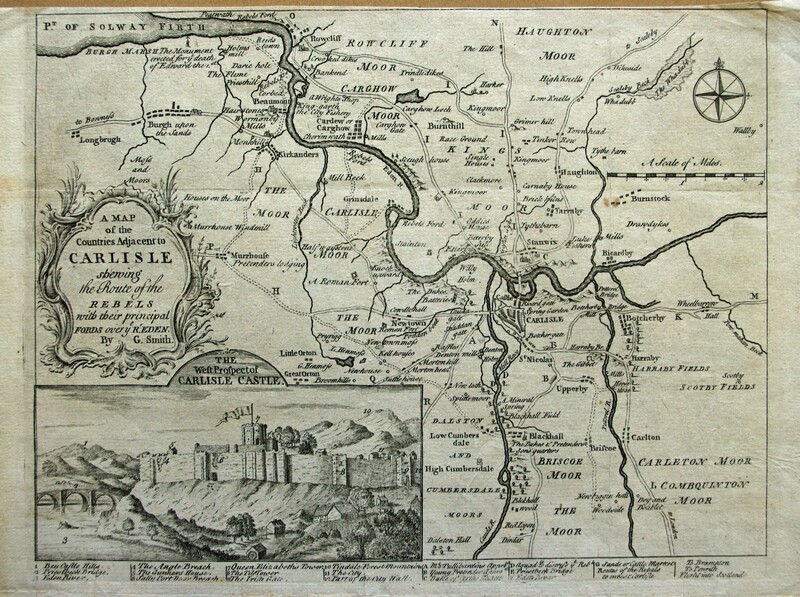 A Map of the Countries adjacent to Carlisle shewing the route of the Rebels with their principal fords over ye R(iver) Eden. By G Smith. 22 x 30 cms. Margin cut close at top of page but condition very good with folds barely noticeable. Gentleman's Magazine, London 1746.